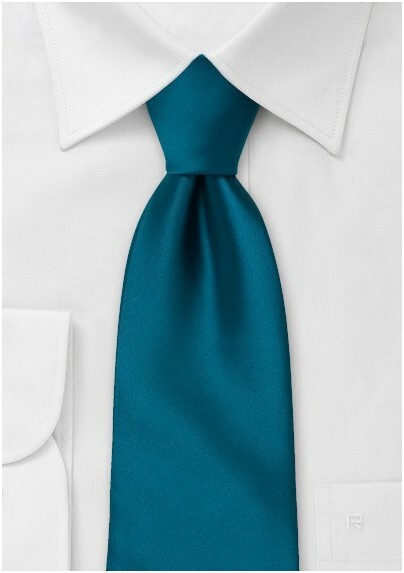 This peacock-teal colored tie will add the pop of color your wardrobe has been waiting for! It matches well with suits in gray, charcoal, tan, and black - making it a versatile choice for any occasion. Please note that this teal colored tie is made in XL length. 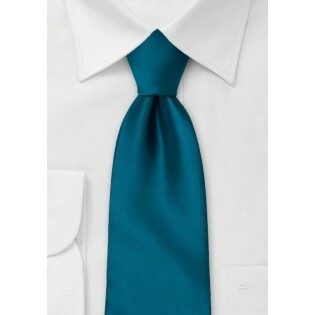 In addition, we at Mens-Ties.com offer this exact tie in normal length as well as kids size.